Are you craving a Greek Traditional Christmas Dinner for the holidays or for a special occasion? 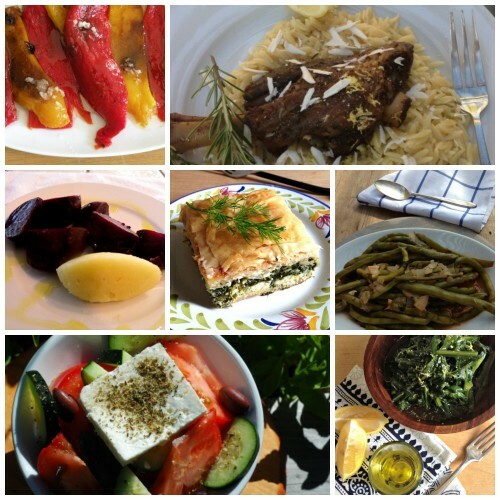 These are my basic Greek recipes,but many more can be explored on my blog. I selected a menu I have used many times and feel it’s a good representation of our meals at home. Feel free to roast a Greek Chicken or substitute a Leg of Lamb. Or perhaps go vegetarian with all the sides I have here and on my blog. I chose these because of the harmony of flavors and availability of produce in the winter. Enjoy my two favorite cookies for dessert., Melomakarona and Koulambiethes. Have a wonderful Holiday Season and Merry Christmas and Kala Xristouyena! © 2013 – 2018, Mary Papoulias-Platis. All rights reserved.